Got a craving for something sweet, but don’t want something boring and traditional like chocolate chip cookies or vanilla ice cream? If so, and if you enjoy the food of Mexico and the flavor of margaritas, then why not combine that flavor with the sweetness of a cupcake? That’s right, we’ve put together a margarita-flavored cupcake recipe with optional lime icing, and we’re ready to share it with you! The best part? It’s super easy to make and doesn’t take much longer than making traditional cupcakes. And of course, you’ll want at least one (but preferably two) cupcake trays so you can get these whipped up in no time. Start by combining the white cake mix, margarita mix, egg whites, and vegetable oil in a large bowl. You can mix it up by hand with a whisk or utilize an electric mixer to make your life easier. Then, add in the lime zest gradually until well combined. Pour the mixture into lined cupcake trays so that they’re about two-thirds of the way full, then pop into the oven and bake according to the cake mix package instructions. Let cool and then enjoy on their own, or continue on to the next step to create a delicious lime icing to go with your margarita cupcakes. Begin by mixing, in a large bowl, the butter, cream cheese, lime juice, and lime zest until it’s nice a smooth. Then, gradually add the cups of confectioner’s sugar until the mixture is nice and fluffy. We recommend adding just one cup of it at a time; otherwise, you might end up with a big cloud of confectioner’s sugar in the air. If the icing mixture doesn’t seem thick enough for your liking after adding the four cups, it won’t hurt to add another cup or two to achieve your desired consistency. Once the icing is done, use a piping bag to frost your cupcakes, or do it the old-fashioned way with a spatula. For a fun touch, sprinkle with colored sugar or sprinkles. 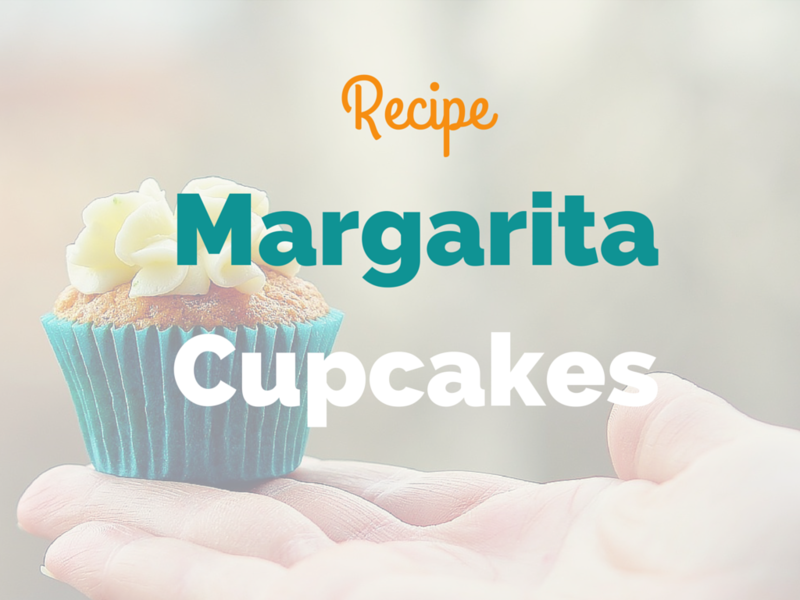 There you have it: an inspired look at the food of Mexico that is a fun and simple recipe for margarita-flavored cupcakes that your family and friends will love. Serve them up at your next gathering or enjoy them all on your own (we won’t judge). And the next time you’re in the mood for the real deal, stop by Macayo’s for a real traditional or strawberry margarita. See you there!